A long and healthy life ( Health ): life expectancy at birth. Access to knowledge ( Education ): average years of schooling (adults) and expected years of schooling (children). A decent standard of living ( Income ): measured by Gross National Income (GNI) based on Purchasing Power Parity (PPP) per capita. The HDI ranges from 0 (no human development) to 1 (total human development). The world average of the 188 countries evaluated in 2014 was 0.702. In 2010, 169 countries were analyzed. In 2011 and 2012, the number of countries and territories analyzed was 187. This change makes it difficult to compare rankings between the data from the 2010 reports and subsequent years. In 2017 data were collected from 189 countries. 10th – The Netherlands – 0.93. 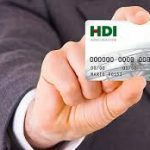 The HDI is graded from 0 to 1. Indicator 0 corresponds to no human development and indicator 1 represents total human development. The closer the country is to index 1, the more developed it is. To calculate the HDI, three factors are analyzed: education, health and gross national income (GNI). The data used for the calculation are collected by UNDP in international databases such as the International Labor Organization and the World Health Organization. In the education factor is evaluated the expected time of schooling and the average time of study of the population. In the item of health is evaluated the life expectancy at birth and the life expectancy of the population. The gross national income index is obtained by analyzing the gross income of the country (gross domestic product) and the purchasing power of the inhabitants. HDI above 0.800: very high human development.